A new edition of the essential guide for independent travellers to this unusual and remarkable African country. In addition to the charms of Asmara - with its broad avenues, markets and Roman Catholic cathedral - the interior, rich in historical remains, is well worth visiting and is covered comprehensively. The main port, Massawa, is a natural gateway to the 350 islands in the Red Sea that offer superb diving, and this guide provides all the necessary information. This fourth edition contains an new chapter on Eritrea's unique architectural heritage - fast becoming one of the country's major attractions. Asmara is one of the most important and exciting architectural 'discoveries' of recent years. Built almost entirely in the 1930s by the Italians, who transformed it into a hotbed of radical architectural innovation, Asmara has one of the highest concentrations of Modernist architecture anywhere in the world. This superb building-by-building survey, illustrated with previously unpublished archival material and specially commissioned photography, chronicles the colonial past and remarkable survival of a city that has evocatively been described as 'the Miami of Africa'. This is the first book to explore one of the most important but least-known Modernist cities in the world. It is authoritatively written by experts with extensive first-hand knowledge of the city. A must-have for anyone interested in architectural history and the dynamics of Modernism. 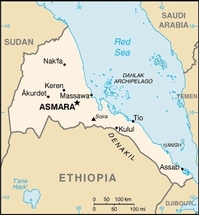 Asmara, capital of the state of Eritrea, located in North Eastern Africa, is considered to be an impressive exam-ple of European urban construction of the 20th century. To this day, the influence of the former colonial power of Italy on the architecture of the city from the early 20th century to the 1940's remains visible. Many of the buildings, erected in the futuristic, monumentalist or rationalistic style have been preserved and dominate the cityscape of Asmara. In particular, architectural projects dating back to the late 1930's and early 1940's are the focal point of the work of photographer Stefan Boness. These include private, public and industrial buildings, which he photographed over the course of several months and which he staged incorporating their urban surroundings. Through his photographs, Stefan Boness has succeeded in expressing the unique atmosphere of Asmara, where time seemingly is standing still. 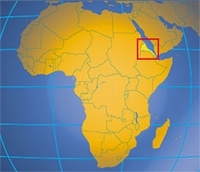 Ethiopia and Eritrea have a fascinating and unique avifauna. Poorly known in comparison to many parts of Africa, knowledge on bird distribution in the two countries is scattered throughout the literature. For more than 35 years, the authors have been painstakingly collecting bird records in the region and plotting them on half-degree maps, including published records, data from museum specimens, sightings from their own extensive travels and, more recently, records from the many birdwatchers that now visit Ethiopia. The resulting atlas provides, for the first time, an accurate assessment of the distribution of each of the 870 species known from the two countries, including valuable information on breeding. The succinct text summarises the results and discusses distribution to subspecies level. Extensive introductory chapters cover topics such as topography, geology, vegetation, climate, habitats, conservation, migration, breeding seasons, bird ringing, and the history of ornithology in the region. This groundbreaking book fills a large hole in the literature for one of the most diverse and least known areas of Africa. Horn von Afrika. Mit exakten Höhenlinien, Höhenschichten-Relief, Gradnetz u. Ortsindex. GPS-tauglichh. 75g 1 : 1.800.000 Mehrfarbendruck. Gefalzt. In Klarsichthülle , in deutscher und englischer Sprache. Stap 3: Zend uw email-bestelling aan: bestel@interglobetravel.nl .